With Apple’s recent successes in the consumer market with the iPod, the iLife apps, and the iMac (both G5 and Core Duo), it’s apparent that’s where their bread is buttered right now. As someone whose been along for the ride with Apple for a long time – including the grim Spindler/Amelio era in the 1990s – I couldn’t be happier about this. It’s really cool to see five or six Macs and an iPod or two in Amazon’s Top 10 best-selling consumer electronics list. Nearly all mainstream tech writers now praise the Mac for home use, and it’s nice to hear Windows-using colleagues considering picking up a Mac for the house. But as someone who works with Macs in an enterprise environment, it really bothers me to think that Apple is only peripherally interested in this arena. What enterprise products Apple does offer are truly outstanding products – and a great bargain in comparison to comparable Windows systems. 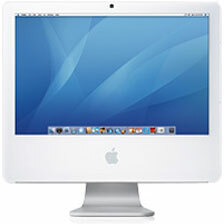 Mac OS X Server is an incredible bargain at US$999 for unlimited clients. Microsoft charges more for just the server OS, and then you have to pay for each client. The fact that Mac OS X Server is infinitely easier to set up and maintain than Windows Server 2003 is just icing on the cake. When you consider that the unlimited client server comes with the Xserve at US$2,999 and US$3,999, that makes the Xserve an incredible bargain in the 1U server arena. Xserve RAID is perhaps Apple’s best kept secret. The price per gigabyte on this massive storage system is among the most competitive you’ll find. What bothers me most about the whole Macworld editorial is that it’s pretty much right on target. Apple’s made incredible inroads in the consumer market and is only gaining momentum where that’s concerned. The corporate products are there for those who want them, but there doesn’t seem to be any big push to gain any enterprise market share. I’m going to hope they’re just holding off until Intel Xserves are ready and then really ramp up the enterprise efforts. Just as it took a few years after the Switch campaign to really see a bump in consumer market share, it will take time and persistence to break into the business markets. Can the iPod halo effect reach all the way to the server room? You might try buying your company’s CEO an iPod just to find out. Update: Apple introduced the first Xserve in May 2002, migrated it to Intel in November 2006, and stopped taking orders for the 2009 version as of January 31, 2011.